If you caught on last weekend then you noticed that I started with a Roasted Garlic Pizza Sauce (http://wp.me/p46hiD-5N), leading up to a Deep Dish Pizza (http://wp.me/p46hiD-5S). Well, you guessed it! Mexican Night! I made chicken enchiladas with home-made red sauce, Spanish rice, seasoned black beans, guacamole dip with home-made corn tortilla chips and Sopapilla for dessert. Whew! What a mouthful! But that was okay. I had an army to feed! A mouthful is an understatement! It’s the day after Mexi-geddon and I have finally decided to get myself up and make a late lunch. Left-over Spanish rice, a little black beans and boom, a fried egg right on top. Heaven. 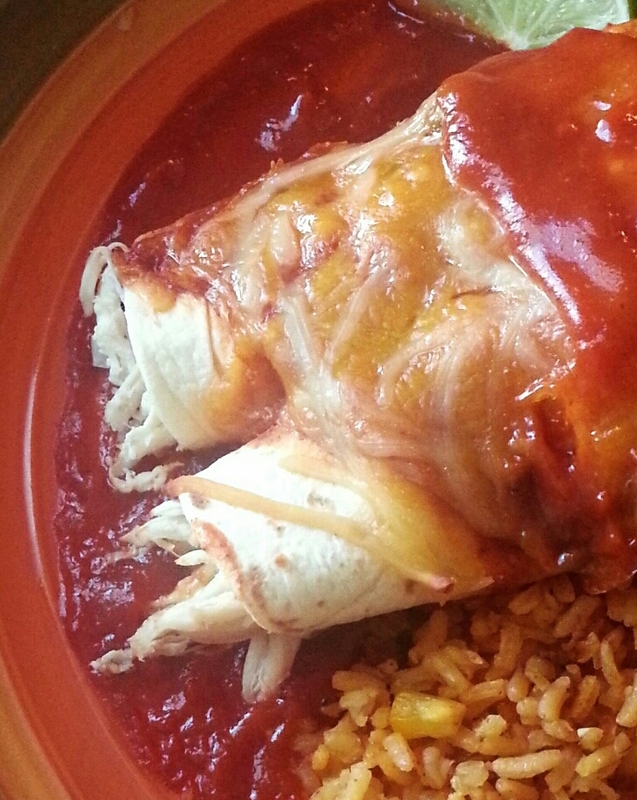 Let me move along with this blog recipe of the Red Enchilada Sauce I created. I could talk all day about what I make myself to eat. But hey, you wouldn’t be bored. Believe that! 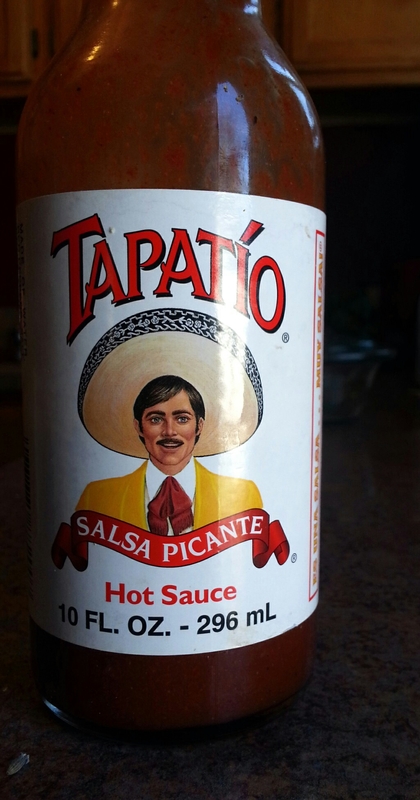 Tapatio Hot Sauce is, hands down, THE BEST hot sauce to use with your Spanish cooking. A girlfriend introduced it to me during a visit to Cali and I’ve loved it ever since. So I was ecstatic upon finding it here in Virgina, at a local grocery store. Okay, this sauce is extremely easy. I will just give it to you in steps because it will be easier to follow that way. 1. In a medium sauce pan, make a roux using the olive oil and flour. 2. Add the chicken stock. Whisk. Add the tomato sauce. Whisk. 3. Add the spices and simmer for about 10 minutes, whisking occasionally. Yep! That’s it! Set aside or keep it on simmer until you’re ready to assemble your enchiladas. This entry was posted in Dinner, Dips, Food, Future Use, Recipes, Sauces, Vegan/ Vegetarian and tagged enchilada, enchilado sauce, Mexican, red sauce, sauce, spanish. Bookmark the permalink.